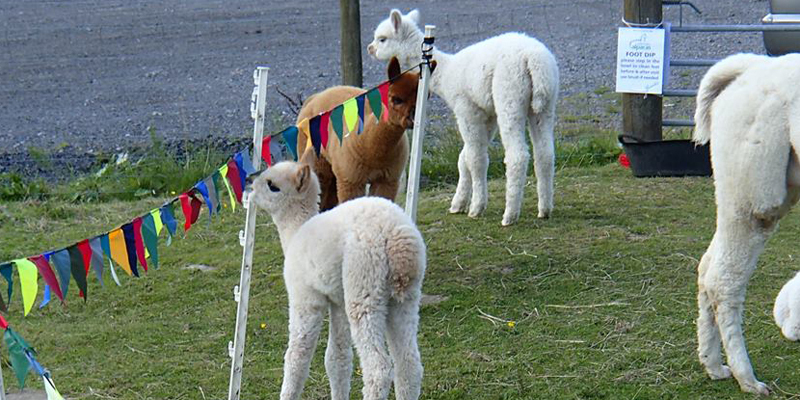 Alpaca Open Days are held on the four Bank Holiday Mondays each year. The last one for 2018 is on Monday 27th August. On the farm walk lead by Steve, you will meet and learn about the alpacas plus the history of the valley. These are repeated a number of times during the day to give everyone a chance to join in. This is a Family-friendly event but young children need to be closely monitored since we are a working farm and there is a large lake among other ‘attractive’ areas. Come prepared ( see helpful list ) for muddy farm tracks with comfortable outdoor clothing including waterproofs for Welsh weather. Appropriate footwear – wellies or walking boots are best. Baby buggies will find it a challenge.